I’m reaching that age where my idols from my formative years are running out of money (or just getting bored) and need to step back into the limelight to refill their coffers (or just entertain themselves). The latest of these nostalgia pimps is the Monty Python crew. 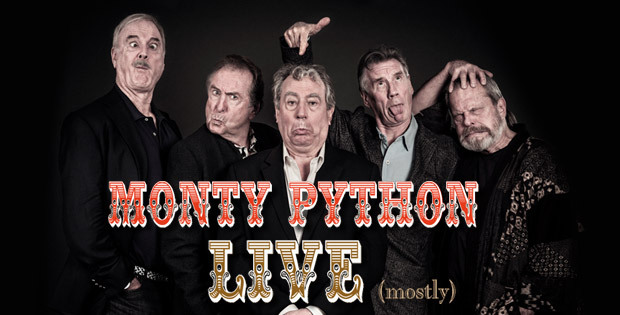 The first of their Monty Python Live (mostly) shows sold out in 43 seconds and they eventually added 9 more dates. With the shows being in London, attending in person was never an option but Cineplex ran it as part of their Front Row Centre series. We’ve been to a couple of Front Row Centre events before – the Benedict Cumberbatch & Jonny Lee Miller/Jonny Lee Miller & Benedict Cumberbatch performances of Frankenstein. It’s a great way to see otherwise inaccessible shows although you don’t get the same atmosphere as a true live performance. Monty Python was actually a bit before my time (honest) but I grew up in a house of fans and the classic lines were a part of our shared vocabulary. In fact, it wasn’t until I discovered Monty Python that I actually knew where these in-jokes came from. Even then, my Monty Python viewing has mostly been limited to the movies (particularly Holy Grail and Life of Brian). That, coupled with the mixed response the reunion show got from reviewers meant I wasn’t entirely convinced I wanted to see it “on the big screen”, particularly as it will be on DVD later this year anyway. In the end my wife convinced me and last night we joined the rest of the most ethnically homogeneous audience I’ve ever seen in a movie theatre to watch the long awaited Python reunion. The show is a mix of songs, dance routines, vintage Python video clips, some live sketches and a surprise visit from the Spanish Inquisition. The live sketches worked best and we got all the classics including the four Yorkshiremen, the Cheese Shop and of course The Dead Parrot. 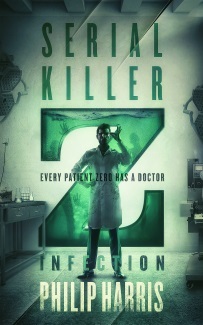 It all held together really well and the production values were much higher than you might expect. It’s tempting to dismiss the reunion as a cynical cash in on Python popularity and I dare say it’s going to generate a bazillion dollars for the people involved but it felt more like a celebration to me. The whole thing had the appropriate Pythonesque feel and in the end I was very pleased we went.